One of our Behind The Plate questions that we ask interviewees is “If you could get the general population to change ONE aspect of their eating habits, what would it be?” It comes down to this—know your food, as awareness is a crucial element of eating well. Cook. Eat more plants and less animals. And don’t eat too much of anything. Here are ten of our favorite answers. Sanjay Rawal – Care about who is responsible for your food—whether it’s a farmworker, a restaurant worker or your mom! Palak Patel (@palaknyc) – Reduce their meat consumption! Even if it means replacing a single meat meal with a vegetarian option. That’s a start. Simran Sethi – Stop supersizing everything. Let’s recognize how precious food is and stop wasting 40 percent of it (here in the U.S.). Audrey Snowe (@unconventionalbaker) – Just encouraging the understanding of where your food comes from, how it has been raised/developed/handled, and using your money as a vote to help sustainable enterprise/farmers. Noni Vaughn-Pollard (@darkchocolatepeanutbutter) – I agree with Michael Pollan, that we as a society need to get back into the kitchen. 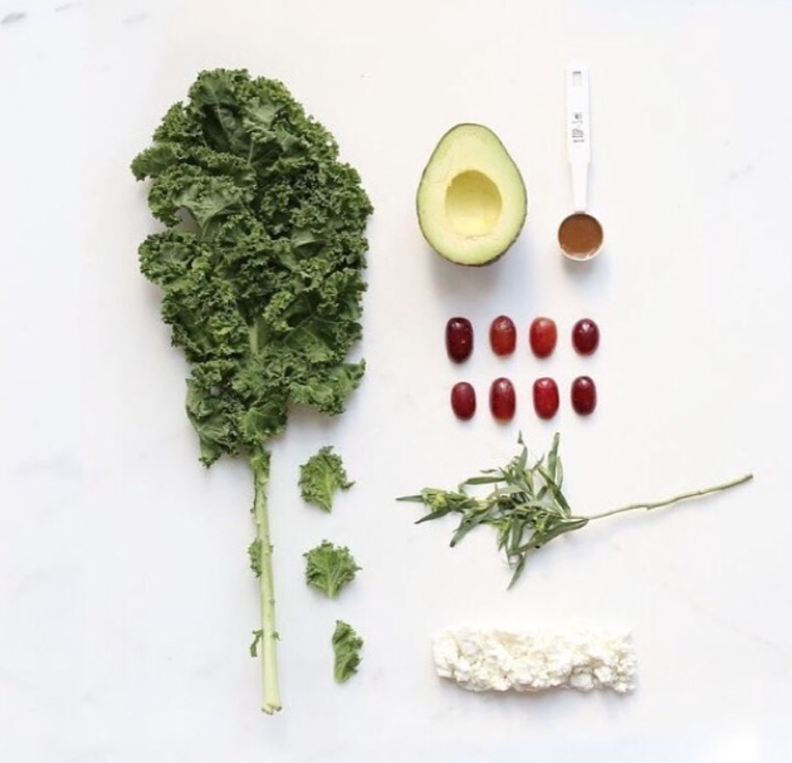 There’s something magical and exciting about creating nourishment for your body with only a few simple ingredients. Whenever I cook my food, I don’t feel stress or guilt. It’s hard not to feel stress or guilt when food isn’t made by you and becomes a mystery. Emily Van Raay (@modelsforwellness) – Know where your meat comes from. Jill de Jong – To eat more whole foods! Emily Summerlin (@etsummer) – I want more people to realize that a plate doesn’t need meat to be a complete, substantial meal. That mentality is so frustrating to me. I think people are getting better about it, but I can’t tell you how many times I get the question “what do you eat?” when I say I’m a vegetarian. There are so many foods out there that don’t come from animals that are full of protein and are nourishing and filling. Matthew Preston (@diginn) – Moderation! You don’t necessarily have to cut anything out, just reduce your consumption of it to achieve a good balance. Matthew Kenney – Eat one plant-based meal a day. One of our favorite Behind The Plate questions that we ask interviewees is “If you could ask the future President to consider a food issue that needs to be addressed, what would it be?” What we learned is that food policy is key to the health and wellbeing of our country. From protecting the land and the workers, to keeping big business and empty calories in check—we want change, and the government can help. Jeremy Kranowitz (@SustainableAmerica) – We should change food subsidies to encourage healthy, nutritious calories and by taxing cheap calories. It has been said that obesity is the face of hunger because cheap calories are high in sugar, salt, and fat. We should still make those calories available to those that want them, but they should be harder to obtain and more expensive to buy than fresh vegetables, fruits, and grains. 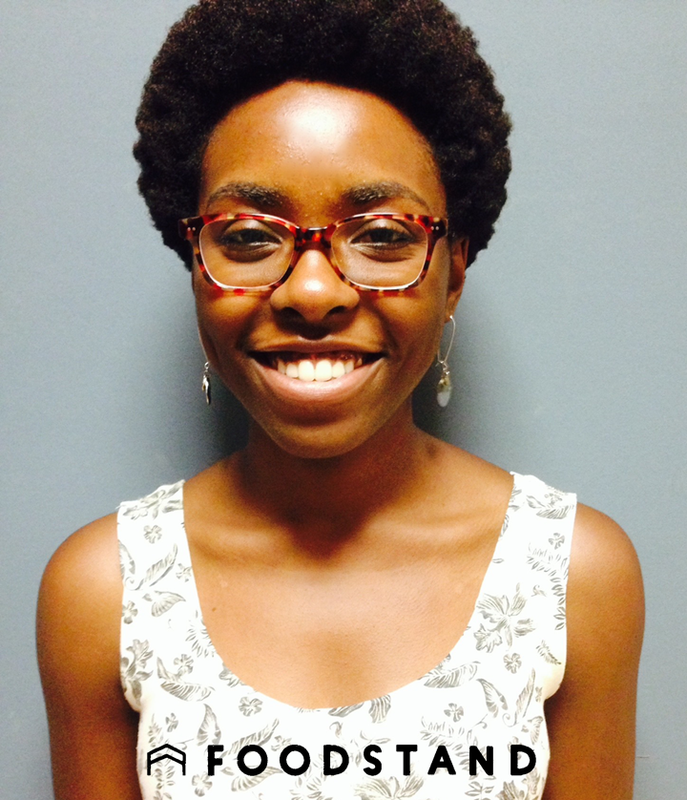 Emily Summerlin (@etsummer) – I would ask the future President to consider the soil! 2015 was the International Year of Soils and a lot of great things happened around that, but I want that momentum to keep going. Not only does healthy soil produce nutritious and delicious food, but it also sequesters carbon! It’s one of the keys to reducing our climate impact and it is very worth taking care of, not only for the future of farming but for the future of the the entire planet. Rebecca Sparks – At present there is a movement in the government to limit access to SNAP benefits by making it a block grant where states can make decisions of eligibility and access. This is a crime. Every American resident should be guaranteed the right to food. Matthew Preston (@diginn) – Land access and ownership. The first barrier for young people interested in the farming industry is access to land. Sanjay Rawal – About 20 million Americans work in the food sector, many of whom barely make ends meet. Without their service we have no food security. Same goes for the 3 or 4 million undocumented workers who are in the food sector (farmworkers, meatpacking, distribution, dairy, etc). Without job security and dignity much less a non-draconian immigration policy, our food system will absolutely disintegrate. I am shocked and appalled that the issue of equity in our food system isn’t being discussed in even the most basic way. Palak Patel (@palaknyc) – Addressing the increasing role that corporations have on our food system. We must understand where our food comes from. Right now, we’re headed toward a future where decisions about our food are decided in closed boardrooms by executives putting profits before people. Jill de Jong – I would ask the president to demand that companies take the chemicals OUT of our food. No colorants, preservatives or additives. That would make a huge difference. Simran Sethi – There should be a lot more scrutiny around the Trans-Pacific Partnership and implications for domestic farmers, preservation of heirloom seeds and transparency around what consumers know about their food sources. Jessica Sennett (@cheesegrotto) – What concerns me the most is farm workers’ rights and agricultural practices. Limited water resources are a present day reality in California. We have to change our practices and not let a few large food corporations and buyers determine the method and quality of our farming. They control the whole industry and subject farm workers and owners to endless cycles of debt and dependence. The framework that exists does not take into consideration resource depletion. Massimo LoBuglio – I would love for a lot of things to be addressed, but to pick one… How about an environmental impact statement included on nutrition labels! Data about the carbon pollution associated with food choices. 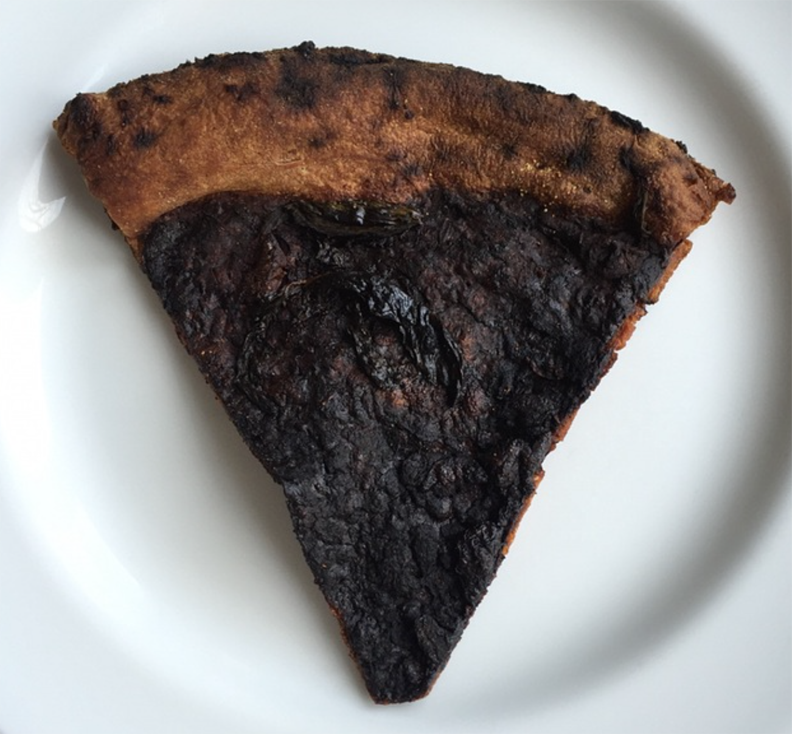 One of our favorite Behind The Plate questions that we ask interviewees is “What was your biggest #foodfail?” We’re all human, and even the best chefs have disastrous kitchen moments. Here are ten of our favorite answers. Audrey Snowe (@unconventionalbaker) – Broccoli cheesecake. Worst idea ever! Don’t judge! I try lots of crazy things—sky is the limit—and I often land on winners that become “cult classics” on the web. But this one was clearly out of range. When I made it at first it was absolutely delicious—tasted nothing like broccoli at all (in case you’re wondering). Just a beautiful pale green cheesecake. I left it in the freezer for a week amidst all my other frozen cakes, and when I re-tasted it later it tasted absolutely horrible. Like broccoli gone horribly wrong with sugar and roses on top. Noni Vaughn-Pollard (@darkchocolatepeanutbutter) – Homemade injera, never again. Emily Summerlin (@etsummer) – Ridiculously enough I’ve done this more than once. I make a smoothie and upon the first sip realize that I didn’t rinse the soap out of the blender well enough beforehand. No thanks to soapy smoothies. Jessica Sennett (@cheesegrotto) – My biggest #foodfail was a persimmon tart. This was before I knew how to pick persimmons that wouldn’t be cloying and drying in the mouth. (If you have tasted an underripe persimmon, you know what I mean.) I tried to cook the tart anyway, and it really wasn’t edible. 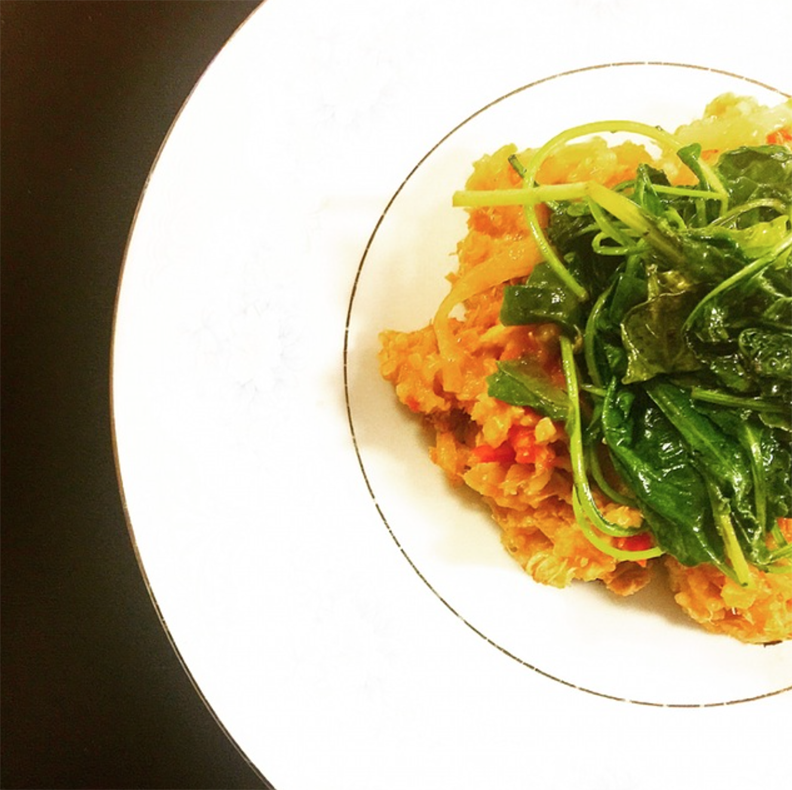 Emily Van Raay (@modelsforwellness) – I have food fails all the time. I’m not an expert in the kitchen but I love making new dishes and tend to bite off far more than I can chew… Roasting acorn squash is something that I can NEVER seem to get right! I end up leaving it in for far too long or taking it out way too early and can never get it off the skin. It’s probably one of the easiest things to make. Help! Matthew Kenney – One of the first times I served raw cuisine to a group I spent a lot of time preparing our zucchini lasagna in sheet pans ahead of time. I had never served this at a large event before, and the extra moisture turned the lasagna to mush. I had to serve a group of my peers this horrible dish and was mortified. I never plated this in advance again! Jill de Jong – Cauliflower crust pizza. It drove me crazy; I was trying so many different things but I have not been able to master it and have given up! Palak Patel (@palaknyc) – Generally baking. But my biggest fool fail happened in Paris while I was attempting to make meringues for a French-Indian pop-up dinner. Meringues have a reputation for being easy to make, but that night things got surprisingly complicated for a dish containing just two ingredients! I calculated the conversions incorrectly, plus using a French oven made my meringues lifeless and flat. Needless to say, I proceeded to crumble them and presented the dessert as “deconstructed”. Margaret Gifford (@MargaretG) – My biggest food fail was the split pea soup I tried to prepare for my stepdad’s birthday. I didn’t know you had to soak the peas. Jennifer Emilson (@JenniferEmilson) – I made fish tacos. The tortillas were made with amaranth flour. They were thick, chewy, not a texture my hubby liked at all. And I didn’t marinate the cabbage long enough. All in all, too raw a meal. He said they didn’t deserve to be called fish tacos! We were introduced to Rebecca Sparks, MS, RD by our very own Noni Vaughn-Pollard, aka @darkchocolatepeanutbutter (you can find her Behind The Plate interview here). In addition to being Noni’s Nutrition Professor at New York University, Rebecca is the Nutrition Consultant for Head Start in New York, a governmental program providing services to low-income children and their families. Considering that last month was National Nutrition Month, we were excited to follow up with Rebecca and share her take on the current situation regarding nutrition across income levels. Tell us about Head Start. Head Start is a government program started in the 1960’s to give low-income children a “head start” so they would be just as well prepared for school as more fortunate children. It provides services (including nutrition) and daycare for children 0-5 years old. “Know your farmer, know your food.” Good food is grown without the use of fertilizers, pesticides or herbicides. The less processed the food, the better it is. The more local the food, the better it is. However certain foods cannot be grown locally, such as coffee, citrus fruit, etc. Living in a global world, we can include these in our diet but Fair Trade Sources are encouraged. It would be an ideal situation if all people could afford to eat good food. Unfortunately with income disparities, that is a big challenge for many people. I recommend families to prepare food at home and eat as many fruits and vegetables in whatever form they can afford. And for all people to eat a variety of foods and a variety of colors in moderation and eat a family meal whenever possible. Most importantly, good food includes enjoyment! At present there is a movement in the government to limit access to SNAP benefits by making it a block grant where states can make decisions of eligibility and access. This is a crime. Every American resident should be guaranteed the right to food. In 3rd grade I gave a report in school on scallops. They looked so good with their beautiful shapes. When I tasted them for the first time, they did not taste the way I thought they would. Now they are one of my favorite foods! Cook and eat food at home instead of relying on takeout. Joan Gussow and Yotam Ottolenghi. I have found that many low-income mothers are still bottle-feeding their children at four years old. Children should be off the bottle and the sippy cup by one year old. To continue bottle feeding can lead to massive tooth decay, ear infections, speech delays, anemia and excess weight. With the increase in developmental delays that we are seeing among low-income children, it is essential that mothers be taught how to feed their children. In my garden, at farmers markets, Green Carts, Fairway, Whole Foods, and Essex Market. March was National Nutrition Month. What’s one good-food aspect of your diet that packs some nutritious punch? You work with low-income families. What is one thing you would like to see change that could help everyone eat well, regardless of income level? The biggest challenge that I think low-income people have is the stress of poverty and not knowing if there is enough money to buy food, pay for utilities, and cover health costs. If there was a way to change that by providing a livable minimum wage and empowering people to take charge of their lives, it would open the way for them to think about a better future. Are there any misconceptions you see surrounding nutrition about which we should be better educated? I am concerned with trends about foods such as gluten and dairy. Though I recognize there are many people who have intolerances and allergies, I also see a lot of people limiting their intake of these foods because other people say they should. It is more important to listen to your own body to learn how to eat healthfully. Kombucha, onions, avocado, garlic, celeriac, carrots, ginger, and parmesan cheese. Amanda Cohen—near a farm or garden. To learn how to cook the way Amanda does! Nutrition is becoming much more popular these days. Is it exciting to see more people become interested in your area of expertise? Yes it is. I wish that people considered nutrition more for health than just for losing weight. Pottery, gardening, helping others, and traveling. 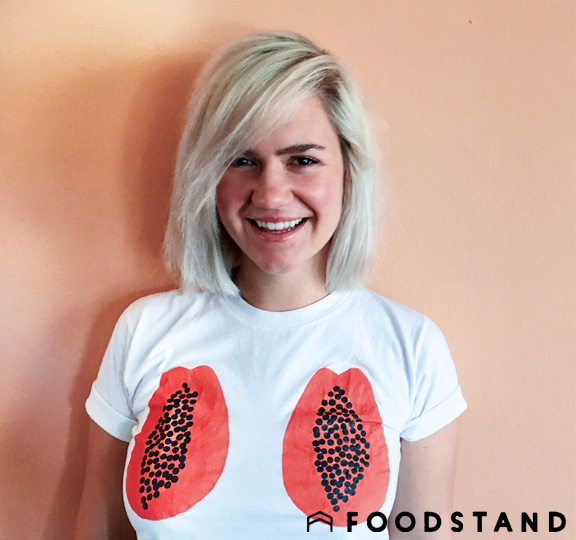 You might know her as @etsummer—Emily is a food lover extraordinaire! 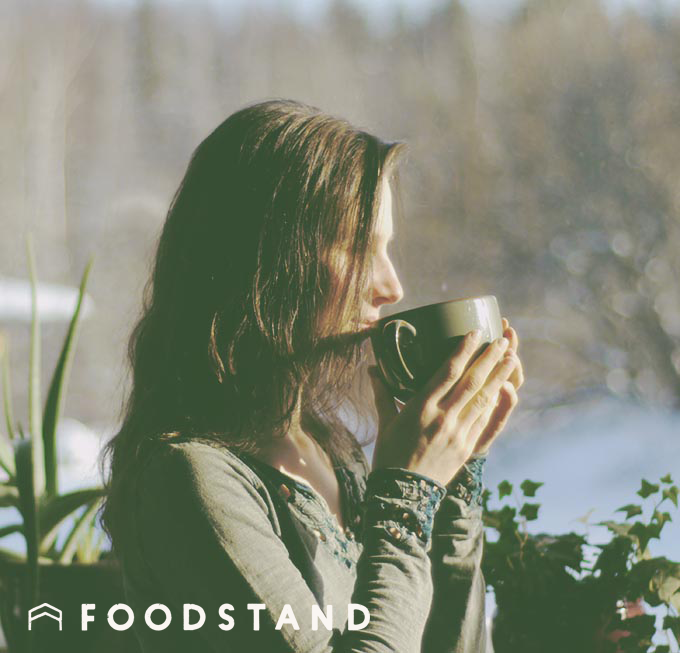 Her love of food and her professional expertise in sustainable agriculture go hand in hand, and certainly bring about many a delicious creation and compelling conversation on Foodstand. And now that she has transplanted to Northern California, we have a San Francisco expert! I’m currently working on finishing my MA in International Environmental Policy. My focus is in business, sustainability and development, and my specific interest is in sustainable agriculture and food systems. I’m hoping to make a career for myself in the space where those two intersect! I always have sweet potatoes. They’re super good for you but also feel like you aren’t being too healthy when you’re in the mood for something comforting and cozy. My favorite way to eat them is to slice them up into rounds, bake until crispy, then top with black beans, avocado, cilantro & jalapeño vinaigrette, and a bit of feta. It’s kind of like nachos but still good for you. My grandparents are from Mississippi, and my Nana’s southern cooking is always something that I remember from my childhood (and I’m still enjoying it today!). She taught me how to make biscuits, just like her mother did, and I’ll always love and cherish that memory. It was also always a hoot when we would go back to Mississippi—the fact that I’m a vegetarian would baffle everyone, especially in a place where ham makes an appearance in almost every vegetable dish! Lasagna. It’s nurturing, and you want people to feel nurtured when you’re cooking for them. Peel a banana like a monkey! Pinch the bottom and peel from there, not at the top with the stem. Also, I eat the skin of kiwis which a lot of people don’t do. Try it—I know it looks hairy and uncomfortable, but it’s really not bad. Ridiculously enough I’ve done this more than once. I make a smoothie and upon the first sip realize that I didn’t rinse the soap out of the blender well enough beforehand. No thanks to soapy smoothies. I want to engage with farmers and food-makers more. Food has such a story to tell, whether it’s a piece of fruit from the market or a loaf of bread from the bakery, and I want to hear the stories of the people this food is coming from—how they got into the food industry, what they love (or don’t love) about it, what their vision is for the food system in the future. Yogurt, pudding, and jello. It’s a texture thing. The always simple and never disappointing avocado toast! I like mine with a fried egg on top, with madras curry powder and black sesame seeds. Food issues have not quite made it into the campaigns for President. 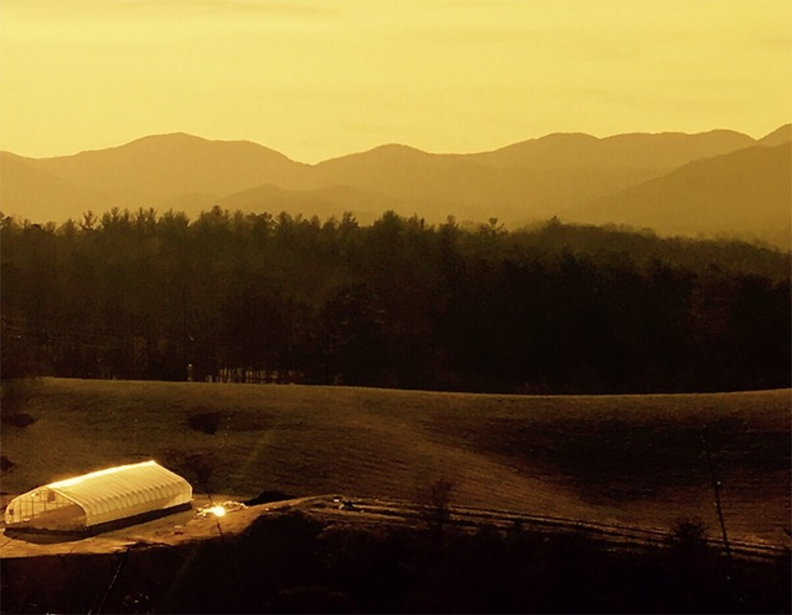 If you could ask the future President to consider a food issue that needs to be addressed, what would it be? I would ask the future President to consider the soil! 2015 was the International Year of Soils and a lot of great things happened around that, but I want that momentum to keep going. Not only does healthy soil produce nutritious and delicious food, but it also sequesters carbon! It’s one of the keys to reducing our climate impact and it is very worth taking care of, not only for the future of farming but for the future of the the entire planet. Cilantro, cilantro, cilantro. I LOVE it. My food inspiration right now is the city of San Francisco. I just moved here, but everywhere I look is full of beautiful food, and the beautiful people who work with it. There are so many cool things surrounding good food going on here. I’m blown away. An avocado. I eat enough of them I probably should have turned into one by now. Smoked paprika. Is it still underrated? I feel like people still don’t know the magic—this spice works on so many things. Such smoky goodness! Thai. I could eat Tom Kha soup every day. I want more people to realize that a plate doesn’t need meat to be a complete, substantial meal. That mentality is so frustrating to me. I think people are getting better about it, but I can’t tell you how many times I get the question “what do you eat?” when I say I’m a vegetarian. There are so many foods out there that don’t come from animals that are full of protein and are nourishing and filling. When people won’t even try new foods. And when knives are dull. I want people to be produce literate! There are so many cool fruits, veggies and herbs, etc. out there that many people aren’t familiar with and/or don’t know how to prepare. It can make for such a limiting diet. Teaching eaters about all of these foods and flavors can open so many doors and start a conversation about good food and better choices for health and the planet.